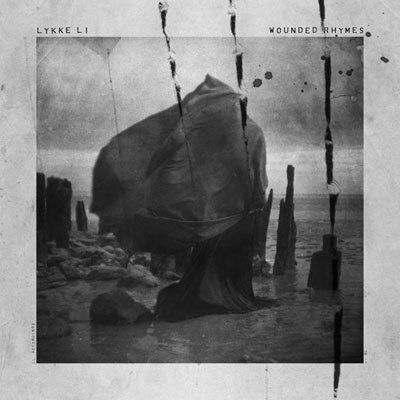 “I’m your prostitute/You gonna get some”, sings Lykke Li on the provocative single, “Get Some”. Gone are the fractured rhythms and coy coo that pervaded Li’s 2008 debut Youth Novels. In their place, we encounter more confident, almost brazen, vocals, tribal beats, and a Spector-esque wall of sound, courtesy of Bjorn Yttling (of Peter, Bjorn, and John), who serves as producer on Wounded Rhymes. The meek singing on earlier hits, such as “Little Bit”, has given way to anthemic girl-group harmonies of “Sadness Is a Blessing” and opener “Youth Knows No Pain” — whose title could even be construed as a rebuff of Youth Novels. Add in the grinding guitars and eerie organs of “Rich Kids Blues” and we may have found a successor to PJ Harvey as the next generation’s resident siren, serving up an irresistible mix of sultry and scary sounds. With Wounded Rhymes, the Swedish singer sheds the nymph-like aura of her debut with a sophomore set that showcases a maturing artist with an ever-developing style that may only get better with age. Buy this at iTunes. After the jump, check out the new video for “I Follow Rivers”. And be sure to read our interview with Li from a few years ago here.